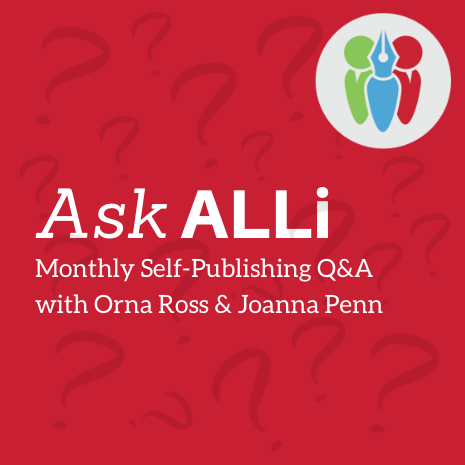 Each month Joanna and Orna answer Members’ self-publishing questions, and we’ve recapped the video and podcast event for you. But before we dive into a summary of the Q&A segment, here’s a review of the self-publishing and indie author projects that have been absorbing their time. 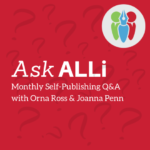 Orna has been working with ALLi Legal Advisor, Helen Sedwick on “How Authors Sell Publishing Rights” (which is currently available on pre-order). This new ALLi guidebook looks at taking a rights-perspective on your author career, and covers translation, TV and Film rights. And to support this vision, we’re hanging our author advice and education around these three pillars. 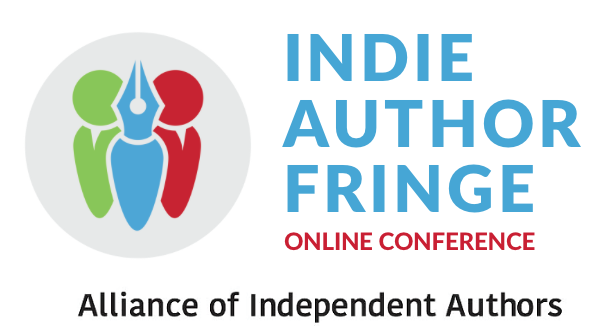 This theme continues through to our online Indie Author Fringe Conferences (that are free to attend). Joanna has returned to writing her Arkane series and is working on book #8 in the series. She’s increased her word count from 2k to 3-3.5k per day, by replacing the pounding of the keyboard with dictation. Here’s the YouTube and Podcast recording that goes into more detail of the above activities and features the Self-Publishing Q&A with Orna and Joanna. See below for a summary of the questions posed in this month’s Ask ALLi. Q: Is ALLi still working with Ingram Spark for 2016 and are they still offering ALLi members the same discounts as last year? Q: Does ALLi recommend using iUniverse Services? 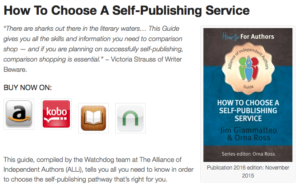 iUniverse is included in the roundup of services evaluated in our brand new edition of “How to Choose a Self-Publishing Service”. All ALLi members can download the book for free in the member’s zone, and this Self-Publishing Service guide is also available via all major distribution channels. As well as evaluating different services, it also provides advice to authors about how to evaluate services for themselves. We believe in the adage “Knowledge is Power“, and this book empowers authors to make smart and informed decisions. 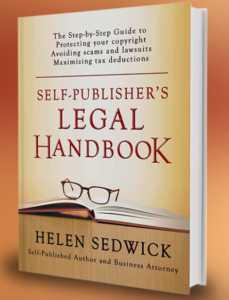 Q: What are the legal issues with using a personal publisher imprint? Orna discusses the difference between establishing yourself as a business or company and creating a personal imprint. Q: What’s the difference between distribution of Print Books through Amazon’s CreateSpace and Ingram Spark? Joanna and Orna provide a succinct summary of CreateSpace vs. Ingram Sparks. Our recommended approach for self-published authors is to use both of these services in tandem. Use CreateSpace for print books in the Amazon universe and Ingram Sparks for all other distribution channels. Want to read other recent blog posts on this topic? Q: What about publishing a Hardback version of my book? Orna and Joanna discuss the legacy of Hardback version in the publishing industry, and why a hardback version may make sense for certain niche genres. Q: Does ALLi keep a listing of manuscript editors? 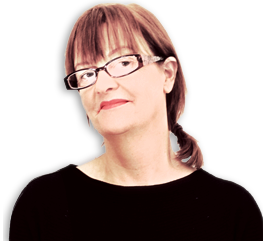 and… Q: How do I find an editor for my Children’s books? An online version of the Partner Member Directory is available here. Q: I’m overwhelmed with publishing my first book, are there “Book Shepherds” who can help an aspiring author? 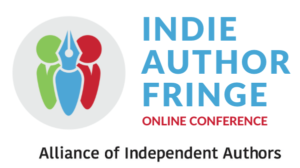 There are lots of courses and books to help aspiring authors, and Orna and Joanna discuss how to get past that feeling of being overwhelmed by using fellow authors as a wisdom hive. Q: I have some poems in Hindi, can I get them published? Books in local languages doing really well at the moment, and both Orna and Joanna are featuring the Indian market in upcoming events. ALLi are hosting an ALLi Insights on February 16th which will help authors understand this emerging market, and how it is different from other international markets. 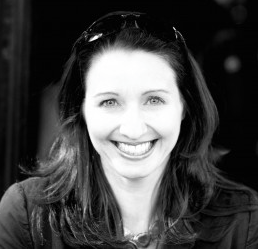 Joanna provided an insightful pricing strategy when you list your book on Amazon India. Q: Where can I find my ALLi Member seal to add to my website? Member’s can find their seal and affiliate codes in their profiles on the Member’s zone. Q: Why does my POD book show out of stock (or a long delivery lead time) on Amazon? Distributors co-exist, but don’t always play nicely with each other. Find out how to overcome this distribution challenge by going direct with CreateSpace. Q: What is your #1 marketing tip for a new author? This is just a taster of the discussions in this month’s Ask ALLi, please watch the video or listen to the podcast for all the good bits I’ve edited out.